James (Jim) Dott is a writer whose first love is poetry. He also writes short fiction and essays. Since retiring after over thirty years as an elementary teacher he has been able to focus on larger writing projects. His poetry has been described as lyric narrative and explores our relationships with nature and place. 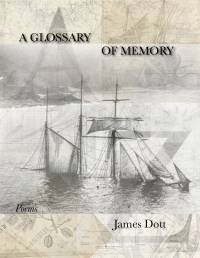 His collection of poems, A Glossary of Memory, was published in 2015 by Blind Slough Books. His chapbook manuscript, Another Shore, will be published in mid 2019 by Kelsay Books. He is seeking a publisher for his a full-length manuscript, Naming the Trees. 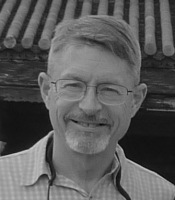 Jim's work has been published in local, national, and international print and online journals. Visit the Links and Sample Work pages to read some of Jim's poems. He lives with his family in Astoria, Oregon near the mouth of the Columbia River. He gardens, tends chickens, volunteers in a first grade classroom, and hikes the hills above town. He is a volunteer programmer at Coast Community Radio and is active in community theater and a local open mic. Another Shore is due to be published by Kelsay Books in mid 2019.